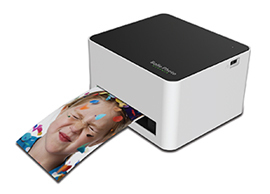 Prinics is a manufacturer of photo printer for Apple & Android™ device and its accessories. Prinics was established in 2005 with the vision to be the “World’s No. 1 photo printer,” and since then it has been doing its best to produce top quality digital photo printers and continue to do so. Prinics develops its own engine and simplified all-in-one cartridge. Because of this technology and ability it has, it obtained patents from Korea, the United States, China and Japan. Prinics is the world first MFi (Made for iPod touch, iPhone and iPad) licensee of smartphone photo printers and it also has a PictBridge license for digital camera printing. [INQ. NO. 1312E15] Prinics is a manufacturer of the Photo Printer for Apple & Android devices and their accessories. It has developed and commercialized its own engine and then simplified the all-in-one cartridge. Because of this technology and ability it possesses, it obtained patents from Korea, the USA, China and Japan. This company is the world’s first manufacturer of Mfi (Made for iPhone, iPad, iPod) licensee of smartphone photo printers and it has also a PictBridge license. The Bolle Photo Plus (BP-250) allows users to print, edit and create as many photos as operators want with this simple and easy-to-use smartphone photo printer. It is designed with dual ports for Android and Apple devices, and is compatible with most of the smartphone models on the market now. This solution can create photos with a variety of templates, frames, and collage features. For color adjustment, such various features as brightness, contrast, saturation and sharpen are supported. ID photo options with 10 different sizes are available. The charging function is also observable. This all-in-one cartridge system (ink ribbon and photo paper in one unit) is easy-to-print photos in best image uality. The overseas regions of the USA, Germany, the UK, China, Italy, France, and the Middle East are its current flagship markets. Prinics was established in 2005 with the vision to become the “World’s Best Photo Printer,” and since then it has strived to produce top-quality digital photo printers, and continues to do so. 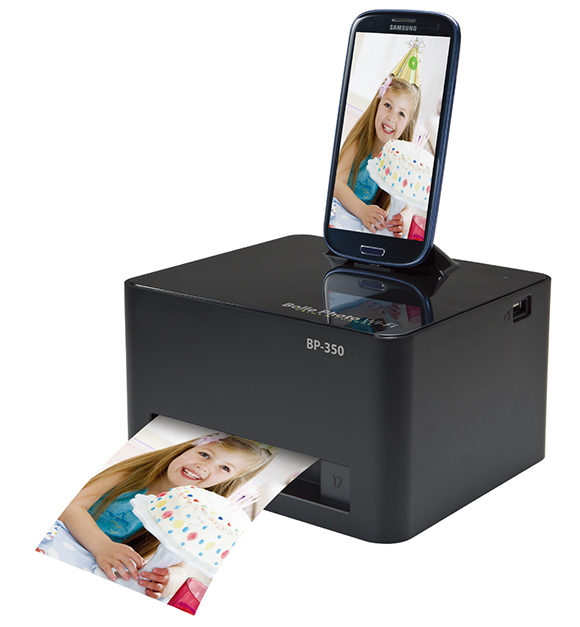 Prinics is a manufacturer of the Photo Printer for Apple & Android devices and their accessories. It has developed and commercialized its own engine and then simplified the all-in-one cartridge. Because of this technology and ability it possesses, it obtained patents from Korea, the USA, China and Japan. This company is the world’s first Mfi (Made for iPhone, iPad, iPod) licensee of smartphone photo printers and it has also a PictBridge license. The Bolle Photo Plus (BP-250) allows users to print, edit and create as many photos as operators want with this simple and easy-to-use smartphone photo printer. It is designed with dual ports for Android and Apple devices, and is compatible with most of the smartphone models on the market now. This solution can create photos with a variety of templates, frames, and collage features. For color adjustment, such various features as brightness, contrast, saturation and sharpen are supported. ID photo options with 10 different sizes are available. The charging function is also observable. This all-in-one cartridge system (ink ribbon and photo paper in one unit) is easy-to-print photos in best image quality. The overseas regions of the USA, Germany, the UK, China, Italy, France, and the Middle East are its current flagship markets.